Published: June 11, 2013 at 01:33 p.m. Updated: June 11, 2013 at 04:26 p.m.
Louis Delmas is understandably frustrated by lingering knee pain that washed out half of his 2012 season. The Detroit Lions safety was on hand for Tuesday's mandatory minicamp practice, but he didn't participate and told reporters his knee "feels just like how it was last year," according to Chris McCosky of the Detroit News. Take a look at the best photos from the Detroit Lions' 2012 season. Brad Galli of WXYZ-TV reported that Delmas was emotional after the session, saying, "I don't even wanna be here," before asking the group, "Can you guys leave me alone? Seriously!" Delmas missed eight games last season and 13 over the past two campaigns with multiple knee injuries. In March, he signed a two-year, $7.715 million contract based largely on incentives and playing time. He was a scratch for the team's organized team activities, but when Delmas is healthy -- he's appeared in 49 games over four seasons -- he's a difference-maker in the secondary. The Lions have talked about limiting the safety's practice time this season, a strategy that worked well in recent seasons with former defensive end Kyle Vanden Bosch. 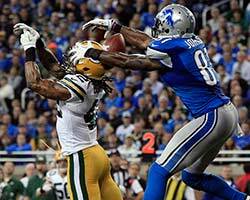 If Delmas can stay on the field, he will form an intriguing safety duo with Glover Quin. "If he needs to be managed, he's a guy who can handle that," general manager Martin Mayhew said in March. But if Delmas can't stay upright, it's time for the Lions to explore a more reliable option in the back of their defense.